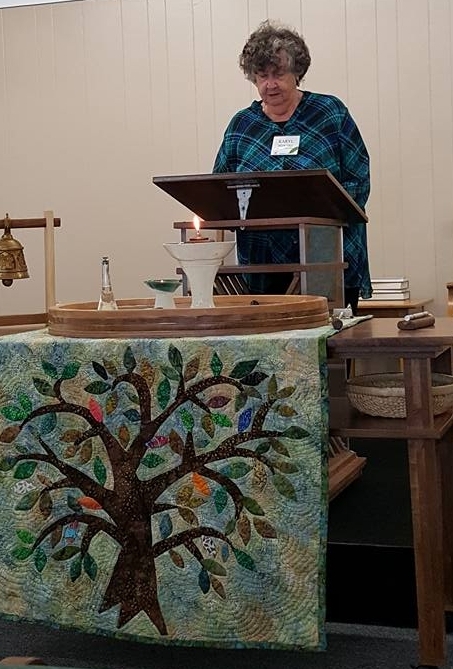 In 2016, the members of Emerson Chapel decided to make the change to being a lay-led congregation, without a full time minister. Unitarian Universalism has a long tradition of congregational lay leadership. Being a lay-led congregation means that members of our church organize and lead most of our worship services. We also invite guest speakers to lead worship services about once a month. These guest speakers include members of other local UU churches, leaders from other religious denominations, and guests from non-religious social organizations. Because we are lay-led, we often work with affiliate ministers for pastoral care or guidance. If you would like to become involved with worship, please attend one of our services and ask to speak with Sharon Swanson or any member of the worship team.